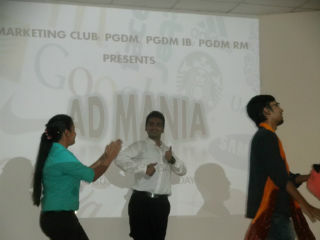 Intra–House AD Making Competition - "ADMANIA"
Marketing Club of Jagan Institute of Management Studies, Rohini, Sector -5 organized an Intra–House AD Making Competition - "ADMANIA" at its campus on 2nd August 2014 for the students of PGDM, PGDM - International Business and PGDM - Retail & Marketing 2014-16 batch. 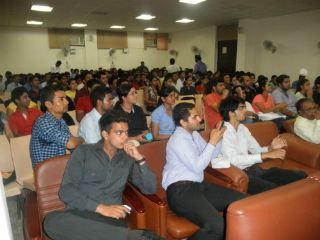 Around 20 groups participated in the event. Each group comprised of four members. 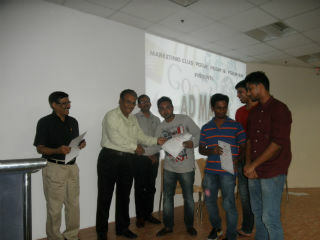 The groups participated in the Marketing and Advertising Quiz. The groups had to identify the leading brands, their logos; punch lines. 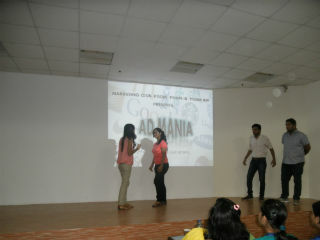 It was a great platform to test the advertising know-how of the students. The groups which qualified the Round-1 contested for the final round of ADMANIA. 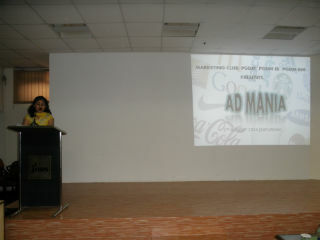 The groups prepared ads related to products such as comb, energy drink, detergent, comb, Helmet and many more. 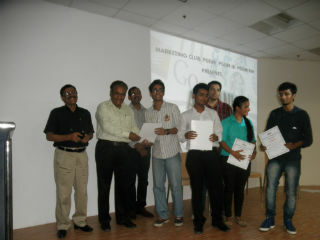 The winners were distributed certificates by Dr. Sumesh Raizada, Dean (PGDM), Dr. Ashok Bhagat, Dean (IB) and Prof. Subhash Kapoor, Faculty, JIMS. The activity was well conducted by all the marketing club student coordinators under mentorship of Ms.Yukti Ahuja, Faculty, JIMS. The competition was thoroughly enjoyed by the students and was a great learning experience for them as it enabled the students to think OUT-OF–THE BOX.